Resource Real Estate is a global firm specializing in direct real estate investments, commercial real estate lending and global property securities. The firm owns and manages real estate assets with an aggregate value of $3.6 billion (as of March 31, 2015) for both institutional and individual investors. In recent years, Resource Real Estate’s Opportunity REIT I has been able to achieve rental growth well beyond the norm of the nation’s overall multifamily market. The trust’s CEO & Director Alan Feldman has agreed to share with us the company’s strategies, as well as his views on the long-term performance of the U.S. multifamily market. MHN: Could you tell us more about the REIT’s history and results so far? Feldman: Resource Real Estate Opportunity REIT, Inc. was formed in 2009. Our initial objective was to invest in multifamily apartments that were underperforming or distressed, renovate these apartments, improve revenues, and then ultimately sell the properties to investors seeking income. 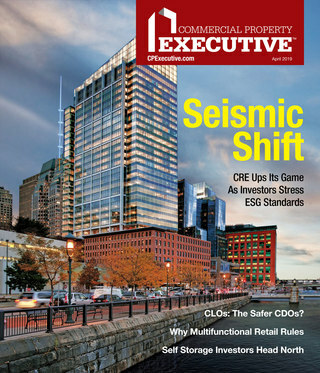 The REIT gradually shifted its focus toward more “value added” apartments in 2013 as multifamily fundamentals improved, allowing Resource to add even more value through aggressive management and strategic capital improvements. The Opportunity REIT has continued to exhibit positive performance—we have had 30 consecutive months of cash distributions and have sold 13 assets, resulting in an average annual return of 17 percent. MHN: What are the strategies you employ? Feldman: We aim to provide investors with income by investing in multifamily rental properties to which we can add value. Through renovations, the REIT is able to increase the value of the properties. While managing the apartments, our investors benefit from increased occupancy and rents. Once they are ready to sell, our investors then benefit from any potential profits from increased property values when they are sold. There are four steps to our strategy for Opportunity REIT: buy it, fix it, stabilize it, and sell it. We purchase properties that are outdated, underperforming, and are in need of renovations. We then renovate these properties to add capital and professional property management. By improving both the interiors and exteriors, we are able to increase occupancy and, therefore, property income. Once this is complete, we sell the properties to income-seeking investors. 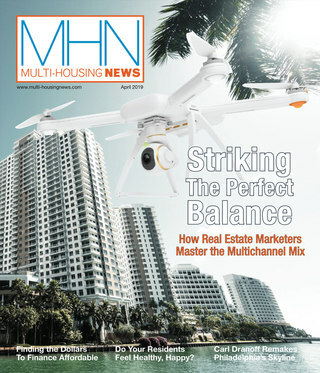 MHN: How do you expect the U.S. multifamily market will perform in the near future? Feldman: We believe that apartments are some of the most stable real estate investments. As Millennials graduate from college and enter the workforce, saddled with student debt, the decision to buy a home—by choice or due to lack of cash, borrowing capacity, or credit—is delayed. The resultant homeownership rate continues to decrease. Apartment living provides flexibility and an affordable lifestyle. We continue to see the opportunity in these investments and believe they will perform well in the long term. MHN: How many multifamily assets has Opportunity REIT sold so far and what can you tell us about the annual return and profit deriving from these transactions? Feldman: As of July 2015, the Opportunity REIT has sold 13 properties, with an average annual return of approximately 17 percent and a total profit of approximately $26.7 million. The largest transaction occurred in March 2015 and the profit was $8.73 million. These assets were sold because they had exceeded their investment objectives and the capital attained from a sale could be more effectively deployed in other new investments. The Opportunity REIT continues to provide investors with a stable 6 percent cash distribution. MHN: What are your investment plans in the multifamily sector going forward? Feldman: We believe there will continue to be excellent real estate investment opportunities in the apartment sector in good markets and where value can be added by savvy management teams. The demand for quality workforce housing to serve the middle class is strong and there is little supply, except for new and very expensive rentals. The homeownership rate is projected to continue to decline for most age groups and Millennials will continue to drive demand. This provides the optimal environment for the Opportunity REIT for the foreseeable future.